Call (248) 764-5046 or Schedule Online Today! The Carpet Guys have been installing carpet in Jossman Acres and across Metro Detroit for over 30 years. We are also proud to be known as the carpet dealer with the fastest response time in the Tri-County Area. We have some of the best carpet installers in MI and offer the best warranty industry wide. If you are searching for carpet stores near Jossman Acres with the best service and cheapest prices, look no further than The Carpet Guys! 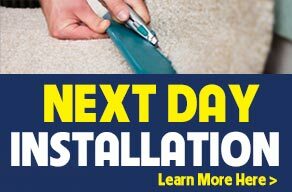 Call today and get your new carpet installed tomorrow. We offer the best quality and the cheapest carpet prices in Jossman Acres, MI. 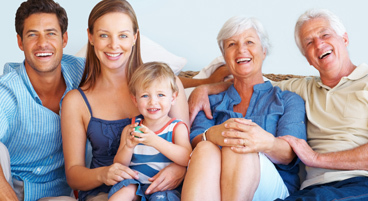 The many carpet selections supplied by THE CARPET GUYS offers homeowners in Jossman Acres comfort, warmth and softness. We would like to show you how today's carpet textures, styles and colors blend with any type of home decor. With The Carpet Guys, you can always find a carpet that will enrich any interior setting, giving you years of satisfaction and pleasure. If you are worried about how much your carpet will cost then . Fill out the form above to set up your FREE in-home consultation with one of our local Jossman Acres designers who can come to your home in Jossman Acres with an array of carpet samples to assist you in finding the perfect fit for you and your home. "We purchased both carpet and hardwood flooring . Carpet was for the Living Room, Hallway, and Family Room. Purchase included the removal and haul-away of old carpet. Hardwood flooring was for Kitchen, Pantry, and Laundry Room. There was no high pressure in dealing with Kevin (salesman). The meeting was very relaxing. Prices are fair. We had carpet installed in Living Room, Hall, and Family Room. Mario and Edward were the installers on our job. They were professional, knowledgeable, friendly and on time. It was a joy to have them in our house. Afterward, all old carpet was removed and taken away." "Carpet Guys are extremely professional , courteous, and deliver a high end product with affordable prices. I have experienced carpet installs with the big boys and Carpet Guys blow them away in every aspect...price, quality, installation, etc. I would and HAVE recommended The Carpet Guys to all of my family and friends with nothing but thank yous coming back from all of them! 5 Stars!!!" "I like their prompt response. They did an excellent work. They did a good communication. It was very well done." "The Carpet Guys gave me a free estimate on carpet and refinishing my hardwood floors. We were very impressed with the professionalism from beginning to end. We hired The Carpet Guys and they did a wonderful job. Very satisfied! The sales person (Kevin) was extremely knowledgeable, friendly, and courteous. He came highly recommended and we are very happy we got to work with him. Prices we the 2nd lowest out of 6 total estimates that we had done. Very straight forward. Great carpet for a good fair price and the installation went perfectly as well." *Some restrictions may apply. Minimum purchase required with selected in-stock carpeting only. Includes basic installation and pad, does not include extras. Valid only at the initial consultation. Offers not to be combined with any other discounts or special promotions. Cannot be applied to current or past orders. See sales consultant for details. Sale ends 03/31/2019. †Some restrictions may apply. Offer is for new applicants only and cannot be combined with other promotional discounts or special offers. 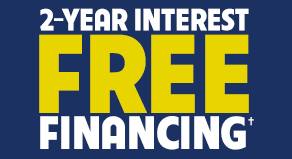 Special financing subject to credit approval. Not all applicants will qualify. Minimum purchase and monthly payments required. See sales consultant for details. Sale ends 03/31/2019. 1 Some restrictions may apply. Offer is for new applicants only and cannot be combined with other promotional discounts or special offers. Special financing subject to credit approval. Not all applicants will qualify. Minimum purchase and monthly payments required. $45 per month for 48 months with equal payments based on a purchase of $2,160. Actual payments will vary based on final purchase and terms of financing. See sales consultant for details. Sale ends 03/31/2019. **Next-day installation on in-stock carpet only.